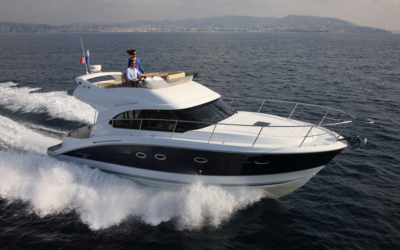 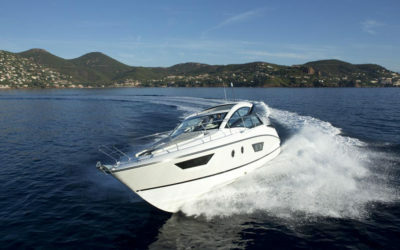 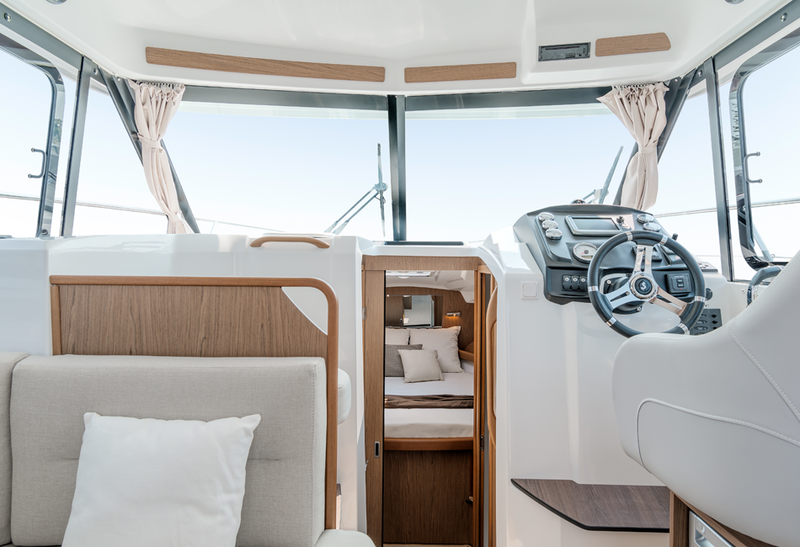 The Antares 30 is the first Flybridge motor cruiser on the range, with a programme focused on cruising. 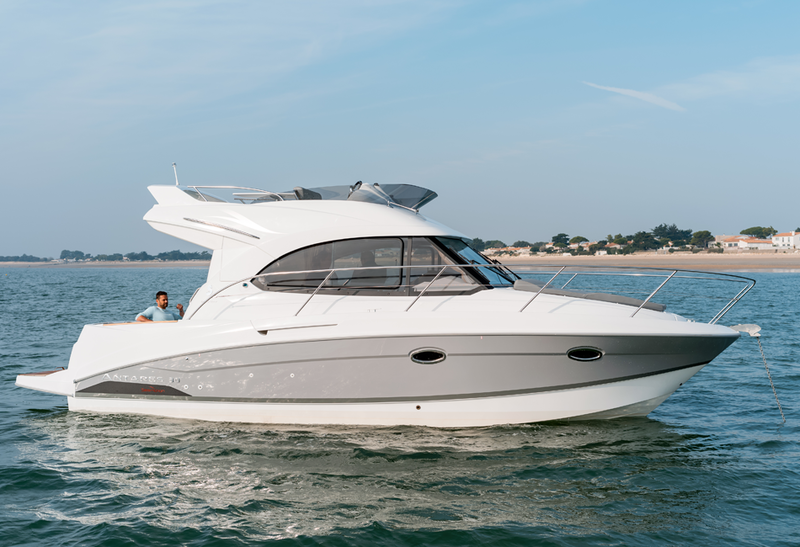 She’s perfect for sea-keeping, a signature feature of the Antares line. 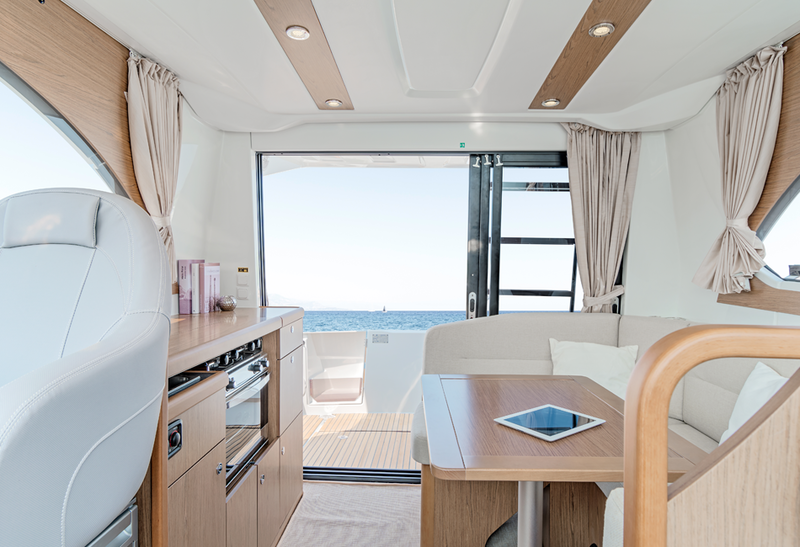 The living space is unparalleled, while its fittings are extremely functional. 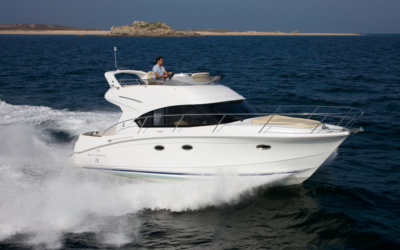 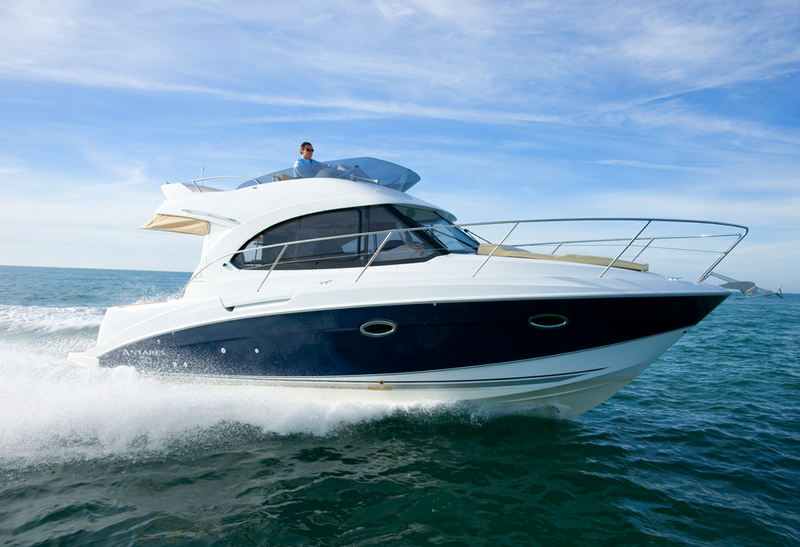 The Antares 30 has a timeless feel with grey tinted windows and taut lines. 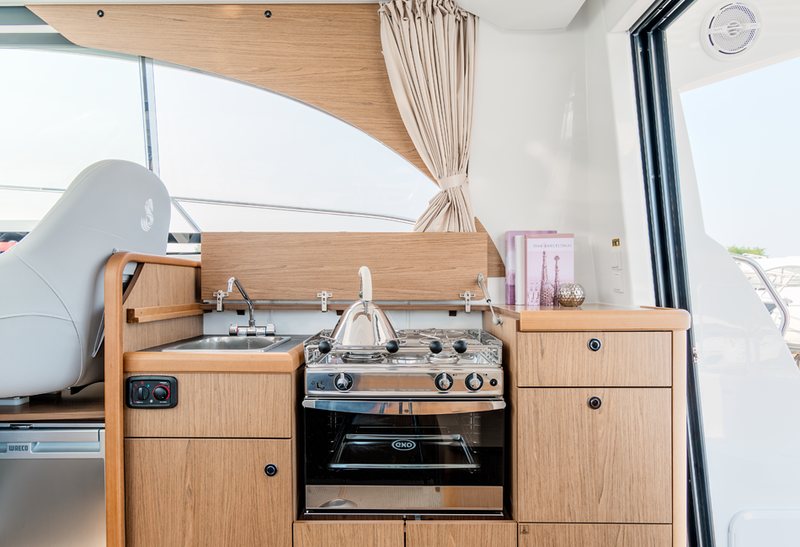 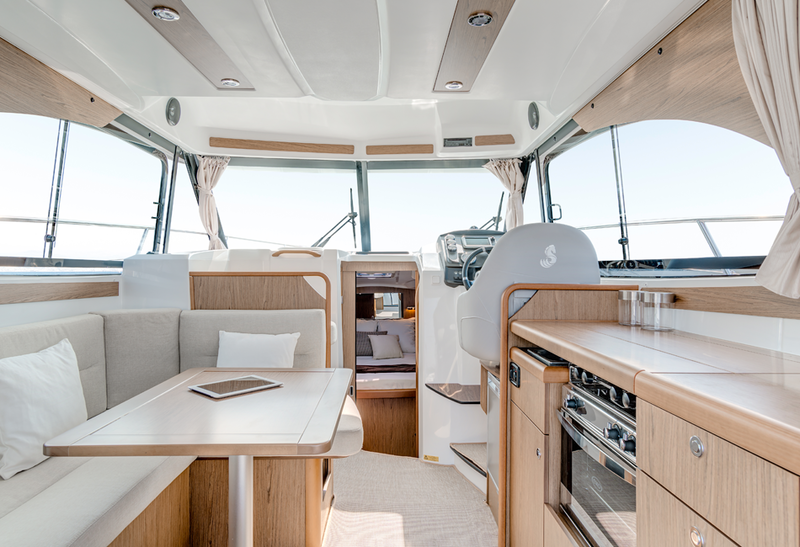 The flybridge is spacious with a sunbathing area, saloon, and optional two driving stations. 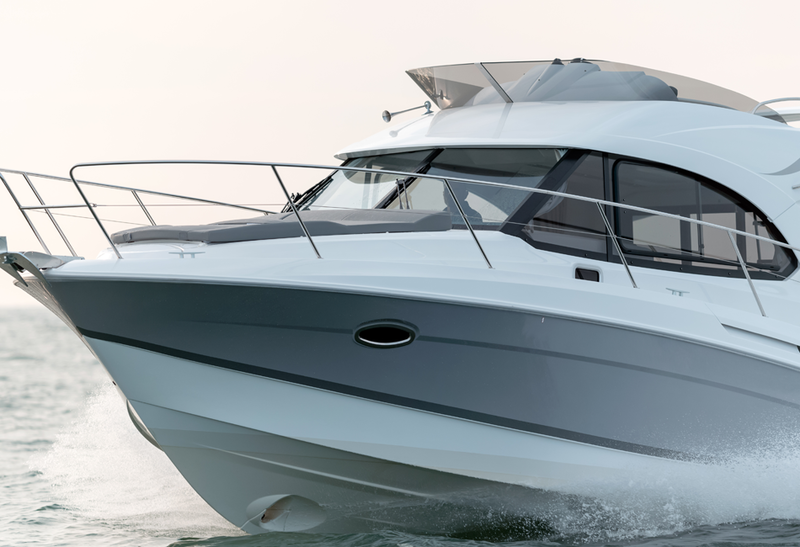 Her stylish grey-hull is the latest edition. 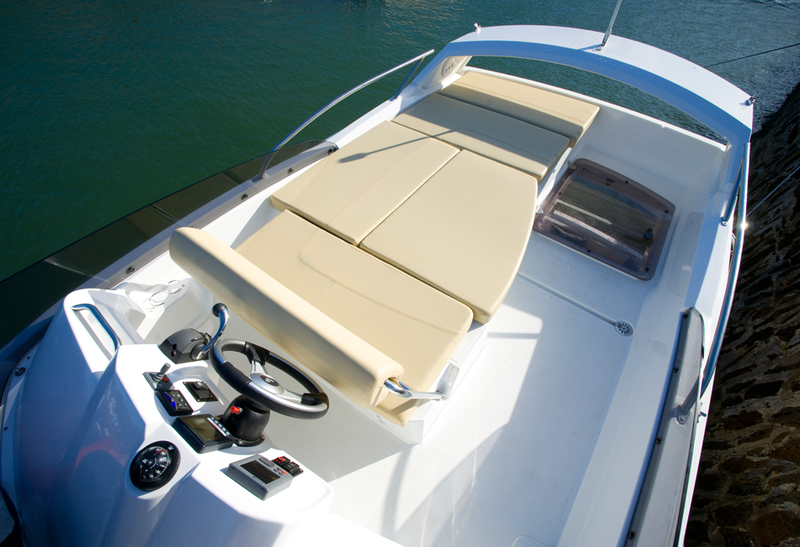 A large wheelhouse and a sea-facing seat allow you to enjoy the panoramic view. 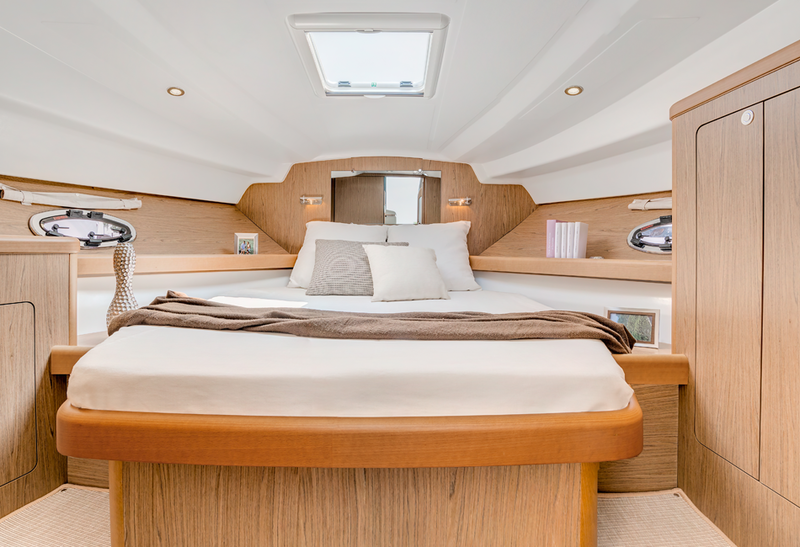 Inside, fittings and living spaces are well-designed using contemporary walnut wood to complement beige upholstery.